Cataracts develop slowly over time and often cataract symptoms can be confused for other vision problems. It is important that patients visit an opthalmologist for diagnosis of a cataract as soon as symptoms appear. 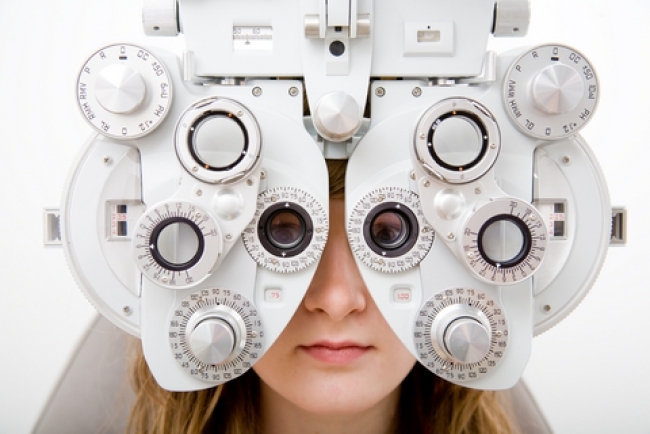 Cataract diagnosis is made by using three standard vision tests. The tests are conducted by an opthalmologist in a complete eye examination. The eye sight test is divided into three parts: visual acuity, pupil dilation and tonometry. The visual acuity test is the standard eye test we all know. Patients are asked to read letters from a chart with large and small characters – the number of letters a patient can identify shows how accurate vision is. To perform a complete visual acuity test opthalmologists, or an optician, check eyes together and separately to give an indication of how good the vision is in each eye and the standard of the patients overall vision. A pupil dilation test allows the opticion or opthalmologist to examine the insde of the eye. Eye drops are used to make the pupils dilate. As the drops take effect the patient is asked to look straight ahead while the ophthalmologist shines a bright light into the eye and uses a special lens to exmaine the back part of the eye and note the way light hits the retina. This test is especially accurate at diagnosing cataracts as the cataract distorts the way light enters the eye and causes light to shatter in the eye before reaching the retina. Tonometry is the third part of a complete eye examination and this measures the pressure of the fluid in the eye. Eyes may be numbed with eye drops before the ophthalmologist gently places pressure on the eye surface. Sometimes a short puff of air is blown into the eye. A tonometry test is not painful but is a very important part of a full eye examination. Tonometry tests can detect other eye problems such as glaucoma, as well as cataracts. A complete eye examination to diagnose cataracts takes 45 mins – one hour to complete. Keep in mind that the eye drops will blur vision temporarily so it is advisable patients have somebody to accompany them.